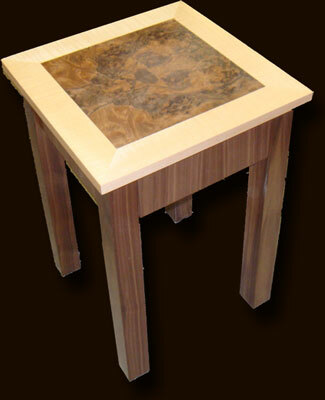 Simply deisigned side/lamp table with a choice of eight exquisite wood combinations. Shown here made using glorious burr walnut with a fiddle maple crossband and solid black walnut legs. Features one secret drawer and can be made to any preferred size or specification.